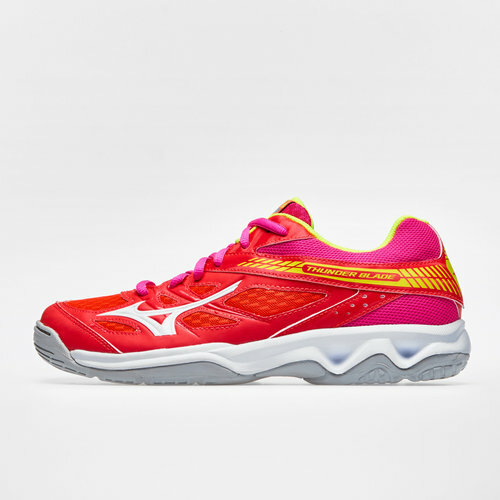 Delivering performance and an incredibly stable ride with impressive grip, lace up in a pair of Mizuno Thunder Blade Netball Trainers. Stylish in design this shoe comes in Fiery Coral, White and Fuchsia giving the shoe a standout look. Built as a technical shoe, enjoy aggressive traction and extra cushioning as you get up and down the court on offence and defence.